The International Design Congress (IDC), one of the world’s largest design industry events, took place in Gwangju, South Korea in October. IDC showcased the cultural and economic values of Korean design while promoting meaningful exchange among world class design professionals. Among the dignitaries and industry luminaries in attendance were ASID CEO Randy Fiser and ASID Chair of the National Board, Sandy Gordon. 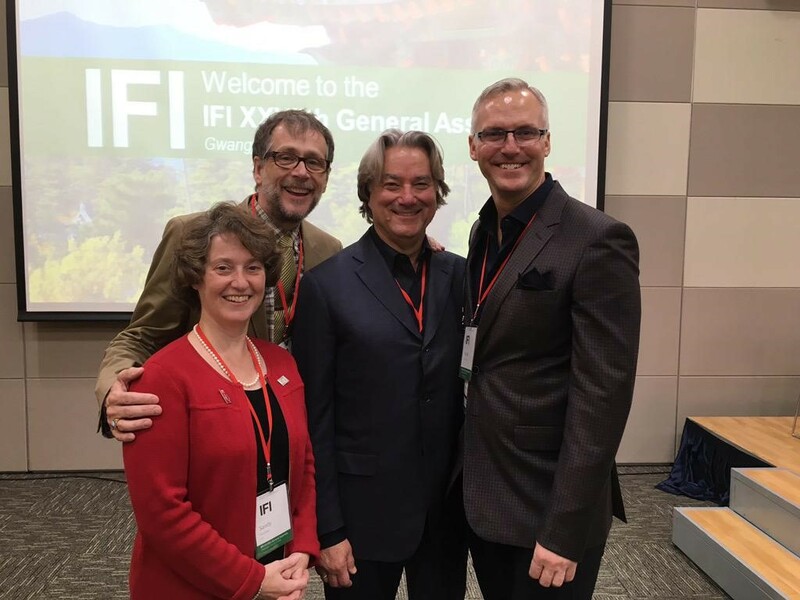 The ASID representatives joined experts from around the world to explore the important role of design in our daily lives. This is the first course in the four-part Business Strategy Solutions series designed to teach interior designers the skills and best practices needed to develop more successful businesses. Setting Your Intentions helps designers to think systematically about what they want from their businesses and sets them on a course to develop their business plan. As the year comes to a close, take this course, earn CEUs, and develop your business strategy plan for 2016! The ASID Academy, supported by Benjamin Moore, is a peer-reviewed catalog of online courses, papers, and videos that bring the best educational offerings to ASID members and other designers in an easily-accessible, online-anytime, curated collection. Visit academy.asid.org today. How Much Is Green Worth?